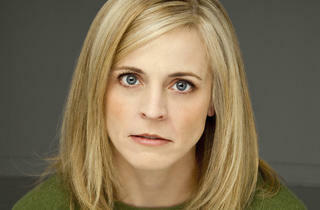 Bamford makes mental illness hilarious in her Just for Laughs show. 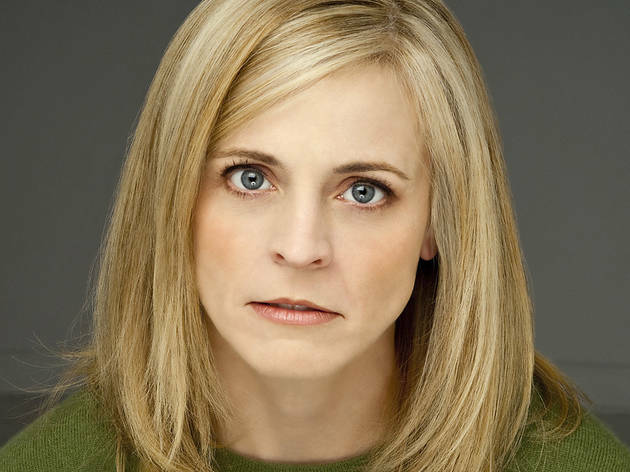 Maria Bamford isn't the first comic to have a mental illness, and she's not the first to joke about it. But she may be the first to joke about it without either overcompensating or downplaying it, and to emphasize that mental illness is something that needs to be talked about. That's not to say her Just for Laughs act is a PSA about her bipolar disorder: She just jokes about her life ("I have bipolar II, which is the new gladiator sandal! "), and her life is very much about "mentals," as she calls it. Her tales of social awkwardness—mentally psyching herself up to say hi to her neighbor as he approaches her yet all that comes out of her mouth is a "Haaaaaaai??" screech—are things most of us can identify with. Her experiences in a psych ward? Maybe not as identifiable, but no less funny. Her story about a friend visiting her and basically telling her that her spiritual advisor said it's cool if she wants to kill herself is shocking but so well-told in Bamford's impersonation of a smugly spiritual person that you can't help but laugh. Sitting in the farthest reaches of the Park West's balcony, I strained to hear her high-pitched, breathy voice at times. Luckily she often slipped into one of her many voices (look up her Paula Deen bit on YouTube...she makes the celebrity chef sound like a 400-pound black man who lives deep in the bayou) that I was never lost for long. Bamford's brand of comedy is challenging, nonlinear and sometimes uncomfortable, but if you stay with her, you'll not only hurt yourself laughing but also get a more balanced picture of "mentals" than anything Hollywood churns out.